ORLANDO, FL - (Marketwired - Jan 7, 2016) - FlightScope, a world leader in the development and manufacturing of sports technology, today announces its newest product, the FlightScope Strike. Made exclusively for baseball and softball, the Strike uses FlightScope's signature 3D tracking radar technology to provide players, teams and coaches at all-levels with the most detailed data and skill analysis available today. FlightScope is showcasing this new technology at the American Baseball Coaches Association (ABCA) Convention this week. The FlightScope Strike is the first multi-frequency 3D tracking radar for baseball and softball capable of measuring not only vertical and horizontal angles and speeds, but also accurate distance measurements to the ball at any point. With a built-in camera for automated and synchronized video capture, the device is able to capture key data such as spin RPM, ball flight trajectory, extension, vertical and horizontal launch and pop-time. 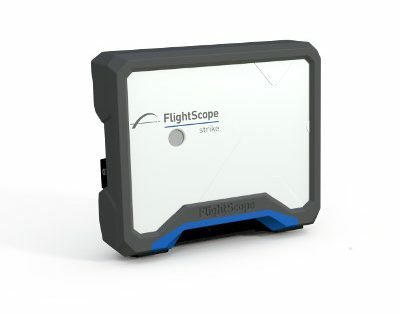 "With the success of our tracking radars and launch monitors in the golf industry, my team and I are thrilled to introduce FlightScope's radar technology to baseball and softball," said Henri Johnson, CEO of FlightScope. "The FlightScope Strike provides instant analysis and feedback on the skills that are most vital to player improvement, including pitching, hitting and pop time. We are looking forward to the response from players and coaches as they realize the many benefits radar technology has for the game of baseball." The FlightScope Strike connects wirelessly to iPhones and iPads for instant feedback and analysis, giving coaches and players a competitive edge. Other features include video capture and analysis, adjustable strike zone, dynamic zone mapping, data filtering, and camera-based alignment and calibration. Fixed and portable mounting options are also available for the product. FlightScope Strike is the official and exclusive swing and ball flight technology of the United States Specialty Sports Association (USSSA). Additionally, the FlightScope team has partnered with RightView Pro, the only system that marries video, game data, and automated reports with FlightScope's data via the Strike. "These partnerships with USSSA and RightView Pro will ensure quick and easy adoption of our technology into the game of baseball," adds Johnson. "We're happy to be partnering with these great organizations whose missions for sports excellence mirror our own." Pre-orders for the FlightScope Strike are available and can be made by contacting the FlightScope Sales team at 407-967-7121 or sales@flightscope.com. For more information about the FlightScope Strike visit booth #353 at the ABCA Convention or visit http://flightscope.com/baseball.